This City Club of Boise forum was recorded at the Grove Hotel on Monday, the 10th of December, 2018. 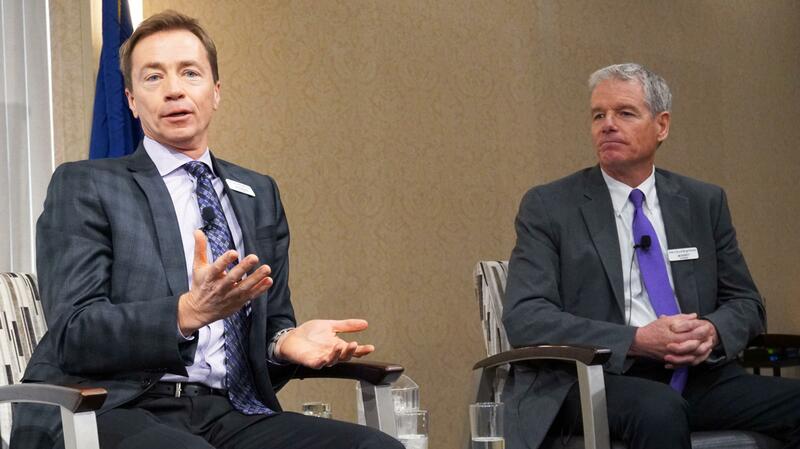 The City Club of Boise hosted Jim Everett and Doug Brigham, Co-Presidents for The College of Idaho, to discuss exploring a new model of collaborative leadership at a challenging time in education. Everett and Brigham shared their experience thus far heading The College of Idaho, the student body in at the private liberal-arts school in Caldwell, and plans for connecting Idaho students with educational options.